Home How To How To Choose Your Concealable Body Armor? 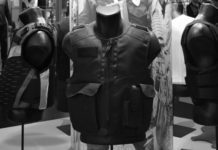 How To Choose Your Personal Covert Body Armor? How To Properly Maintain and Care To Ensure The Ideal Fit For Your Concealable Body Armor? 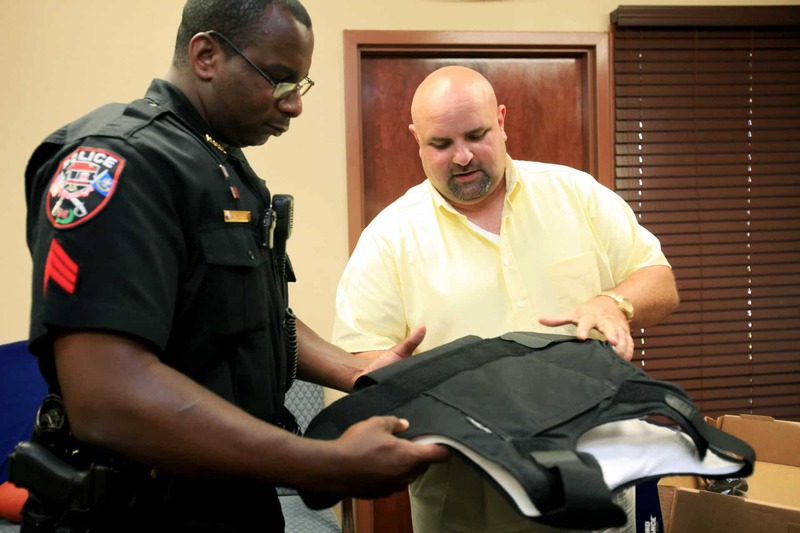 One of the biggest investments law enforcement and other agencies can make is the purchase of concealable body armor. In order to get the most from a ballistic resistant vest, you need to make sure the vest fits correctly. While body armor is created to withstand bullets, it’s still a sensitive piece of equipment that must be properly maintained and cared for. 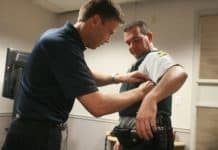 Proper Fit Of Concealable Body Armor: How should your body armor fit? When it comes to ballistic vests, it’s life-savingly important to ensure the proper fit is attained. Although many agencies think that a larger vest size gives their officers more protection, what generally happens is the officer wearing a vest that makes them miserable or not wearing it at all. The only perfect solution is to attain a custom-fit ballistic vest that’s designed for each individual’s dimensions and shape. When standing, the front ballistic panel needs to be 2 to 2 1/2 inches of the top edge of the gun belt. It should also be no higher than the uniform shirt’s second button. The space between the top edge and the bottom edge is needed so when sitting down down, it’ll close up and the vest panel will rest on the gun belt’s edge without going into the wearer’s throat. When standing in a relaxed pose, the back panel of the ballistic vest should rest ¼ to ¾ of an inch from the top edge of the gun belt. It also needs to be no higher than 4 inches from the collar seam. This space keeps the vest from riding upwards when the wearer stands up from a sitting position. Although you may want the back and front panels to overlay on the sides, this actually creates a situation where the vest is uncomfortable to wear… adding bulk to it. On top of that, when the back and front panels rub up against one another, it causes premature wearing on them. The best thing to do is use a vest that’s got a small gape between the two panels. When it comes to the straps of your body armor vest, you want just enough tightness to keep the panel from moving excessively. When you put the vest on, you want the straps to secure to the Velcro on the front panel. You want to stop the moment you feel the elastic give resistance. If you over-strap, it can lead to curling and unnecessary wear and tear on the panels. If you’re in a stressful situation and your vest is too tight, it could restrict your chest and lungs’ ability to fully expand when being physically active. And, if the vest is on too tight, the straps could result in the vest to crumple. Do not use the heavy Anti-Rifle plates as the Trauma Plate. It’s not designed to work in this capacity, and eventually it’ll wear out and fail. Any kind of misuse voids the warranty. If you want to have Anti-Rifle protection plates, there are certain companies that offer them. Trauma plates need to worn in the pockets offered in the concealable body armor. The purpose behind them to give you extra protection against Blunt Force Trauma for the most susceptible areas of your body. There are both hard and soft plates that ensure this purpose is met. Along with these, there’s the exclusive U.S. Armor TB-3 Titanium plate that’s covered with a Kevlar felt lining that can stop engineered blades and spikes at the maximum NIJ tested force limits. It’ll also void the vest warranty. 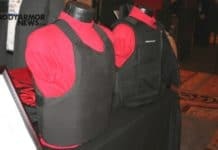 Your concealable bulletproof vest should be stored in a flat position without any equipment around or on the vest, which can be pushed up against the vest and result in curling. Never hang your vest either, as this may also cause curling and void a vest’s warranty. It’ll also lead to prematurely stretching of the straps’ elastic. This will make them ineffective in suspending the panels along your stomach region. And, if possible, do not put your torso in wet, humid areas or where there is extreme heat. Since your concealable body armor is worn underneath your clothing, it’s imperative you remove the panels and Trauma pad from the carrier. The carrier is the only thing that should be placed in your washer on the gentle cycle and then placed in the dryer. Although you can dry it, it’s still a good idea to have several of them in your stock. The material of carriers is colorfast and has already been shrunk. You can use bleach on white carriers. Whenever you clean the outside carrier, you should use a damp, soapy (mild detergent only) sponge to clean them. Make sure you don’t use your dryer or hang dry them. Rather, let them air-dry. You also need to avoid any direct sun exposure. Instead, lean them up against an upright surface that permits sufficient air flow. Like your guns, you must regularly clean your vest and inspect it for any potential anomalies. Pay close mind to the stitching and sealing of the armor panel. You should not see any type of raw ballistic material. If you notice any of this or see an anomaly, be sure to talk with the manufacturer to either repair your vest or replace it. You should also call the manufacturer if the vest panels have been exposed to water or other liquid for a long period of time. Always inspect the outside carrier for any stitching separations on the Velcro pad attachments and seams as well as any extreme elastic wear. It’s important to get immediate professional repairs to your ballistic vest or to get a replacement. Be sure you get in touch with your vest’s manufacturer if you have questions regarding the condition, maintenance and care of your concealable body armor. When it comes to safety, it’s imperative you have a piece of concealable body armor that can ensure you stay safe on the job. While you have chosen a noble profession to protect and serve, a ballistic vest ensures you do it with confidence and peace of mind.